If you missed the 6th Annual VCARA Conference in April, you can watch the machinima of both keynotes and all the mini presentations. Archeota is the official newsletter of the San José State University Society of American Archivists Student Chapter. 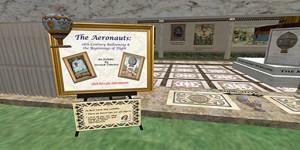 The traveling exhibit “The Aeronauts” exhibit put together by Sere Timeless, will be on display on VCARA until the end of summer. This wonderful exhibit tells the story of the hot air balloon including the first “duel in the air” and even the hot air balloon craze that showed up in ladies fashion. Come see the wacky variations on hot air balloon design complete with oars and wings that were thought to help steer the contraption. Spring 2015 Alice Krueger/Gentle Heron Colloquial talk on March 31, 2015. People with Disabilities in Virtual Worlds. 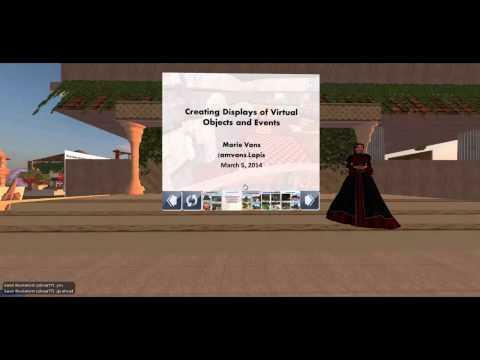 Colloquium Talk on VCARA: People with Disabilities in Virtual Worlds. 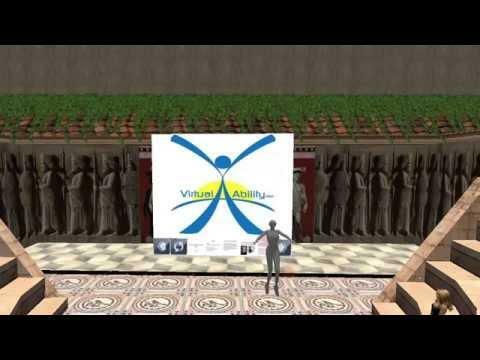 Virtual Ability supports people with many types of disabling conditions and chronic illnesses in Second Life. Some require special accommodations. 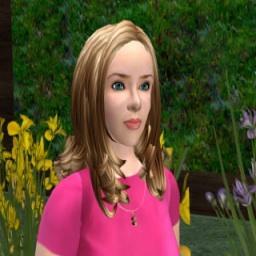 Learn how some persons use assistive technology or human assistance to access Second Life. 287-10 Virtual Worlds: Moving Through Time and Space: U.S. Revolutionary War. 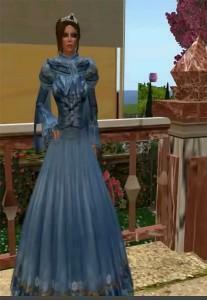 The spring, 2015 VCARA estate manager, amvans Lapis/Marie Vans, was named Library director for the Community Library on the InWorldz Virtual World on April 12, 2015. SJSU iSchool Colloquium Series talk by Alice Krueger/Gental Heron at VCARA on March 31, 2015 is now available on the VCARA YouTube channel. If you missed the event, Gentle talk about how Virtual Ability supports people with many types of disabling conditions and chronic illnesses in Second Life. Some require special accommodations. Learn how some persons use assistive technology or human assistance to access Second Life. A new machinima is now available on the VCARA YouTube Channel. 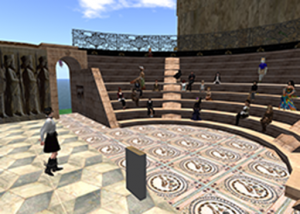 The “Student Learning Experiences in Second Life” machinima documents the student panel held on March 6, 2014. Greetings! You are invited to a Virtual Worlds/Immersive Learning Seminar which will feature the opening of Info Quest, a web-based library and location for librarians, museum staff, educators, library users, students, and anyone interested. The San Jose State School of Information will offer an immersive learning course this summer in the virtual world of Second Life. The course is: 287-10 – Virtual Worlds: Moving Through Time and Space: U.S. Revolutionary War. During the break, take some time to view the work completed by students in two fall immersive courses: LIBR 287 – Pre-Revolutionary France and LIBR 287 – Immersive Scholars. Machinima have been posted to the multimedia page.